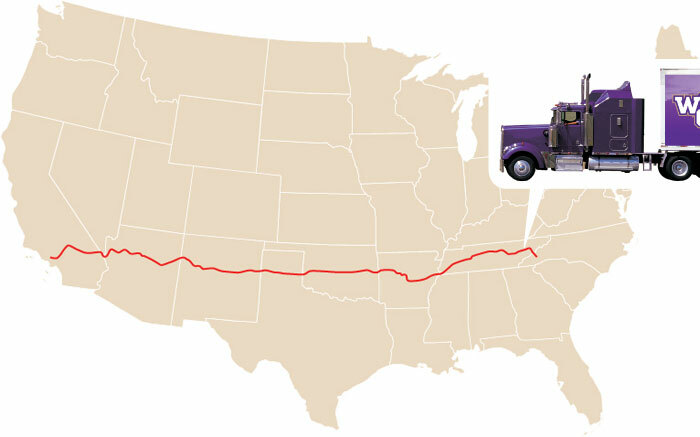 The three trucks driving the California-bound WCU Pride of the Mountains Marching Band’s equipment to California were wheels rolling out of Waynesville by 4:30 a.m. Sunday, Dec. 26. The drivers navigated snowy roads and wintry weather on Interstate 40 – taking several hours to reach the Tennessee line – and were beyond happy to hit pavement around Dandridge, Tenn. By 8:30 a.m., they were in the Knoxville, Tenn., area. 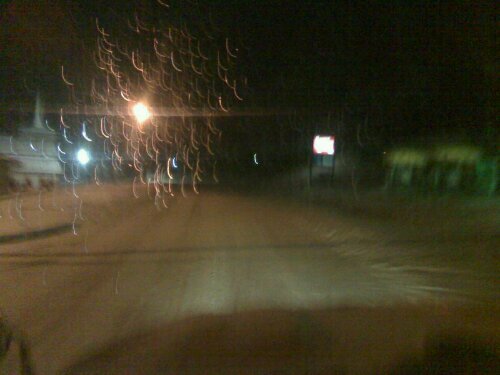 Read more about the volunteer drivers and how they prepared to travel in the bad weather on Dec. 25. The photos below were sent by volunteer truck driver Jimmy Crocker, who also happens to be celebrating his birthday today. Jimmy, in honor of the band’s birthday announcements…. Birthdaaaaaaaaaaaaaaaaaay! 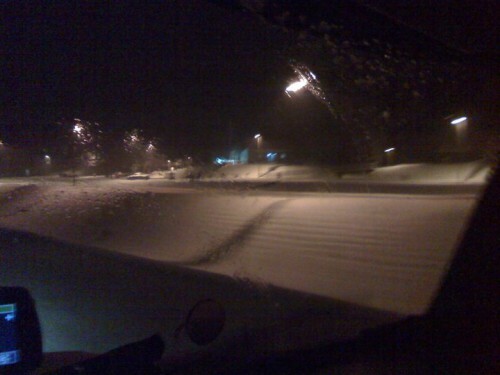 The band trucks left Waynesville in the snow about 4:30 a.m. Dec. 26. 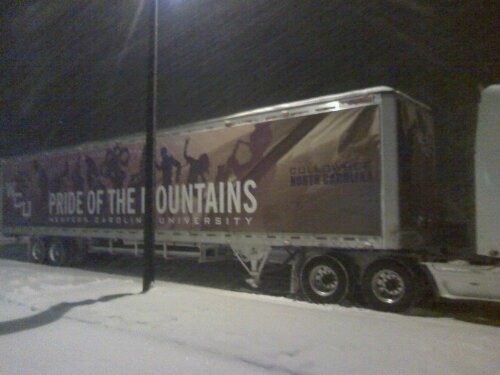 The Pride of the Mountains Mraching Band truck wrap shows up against the snow in the early morning Dec. 26.